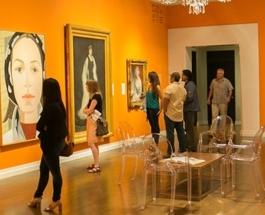 The Honolulu Museum of Art is committed to presenting great works of art, offering education programs that change lives, and making the museum accessible to all people. 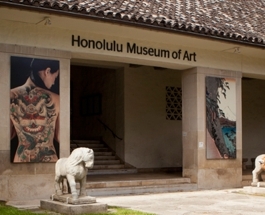 Contributions to the Honolulu Museum of Art Annual Fund are fully tax-deductible and provide essential support to our mission. See how your Annual Fund gift impacts our community! A gift of $30 allows the museum to issue one year-long Basic membership to a low-income parent. A gift of $50 allows us to offer two tours to Shangri La for a unique look at Islamic art and architecture. A gift of $150 allows art school students to fire up the electric kiln five times. 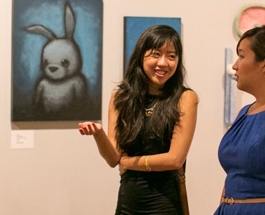 A gift of $250 provides one low-income student with a scholarship to an Art School class. 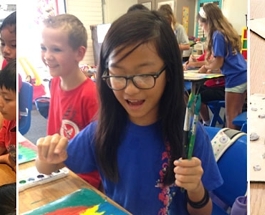 A gift of $500 provides an interactive Expression Session art workshop for over 50 school children. A gift of $1,000 allows the museum to host a docent-led school tour for 250 students. Many employers sponsor matching gift programs and will match any charitable contributions made by their employees, doubling or sometimes tripling the impact of your support. If your company is eligible, please request a matching gift form from your employer and send it completed and signed with your gift. We’ll take care of the rest. Some companies even match gifts made by retirees and/or spouses! WHAT DOES NOT QUALIFY AS AN ANNUAL FUND GIFT? Become a museum insider by joining our affiliate group.